Zwei Pfl. Doc. (1843) pp. 60, 90, 91 & 209 (nom. nud. 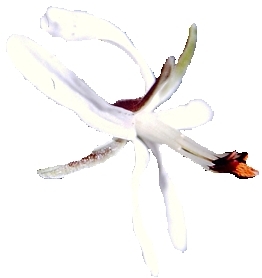 ); original description by Knuth: Das Pflanzenreich 4, 129 (1912) 373. 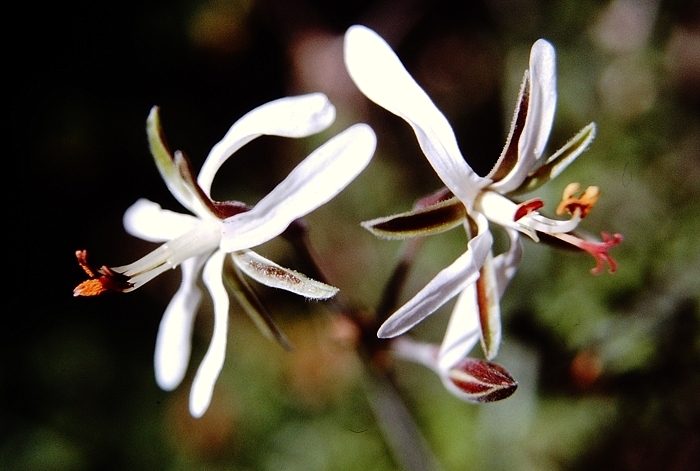 Branched stem succulent, up to 30 cm high, deciduous in summer, stems smooth, apparently glabrous, but microscopically pubescent, grey-green to grey-brown. 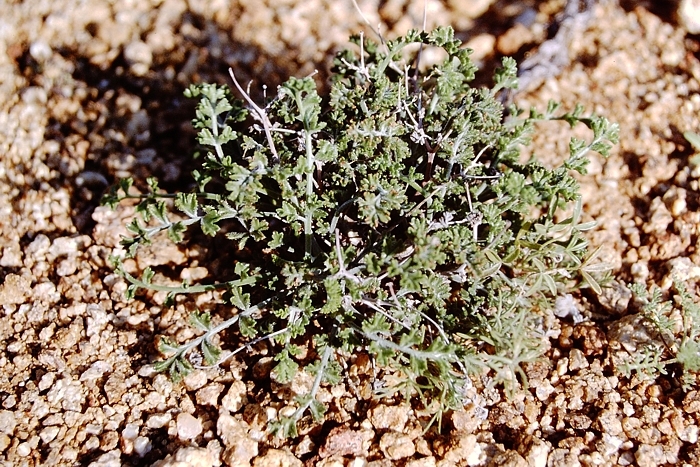 Pinnately compound, setose with short glandular hairs, green, lamina oblong, up to 6 x 3 cm, pinnae with rounded apices, margins dentate or shallowly incised, petiole up to 4 cm, basal parts persistent. Stipules triangular, cca. 1x1 mm, papyraceous, persistent. 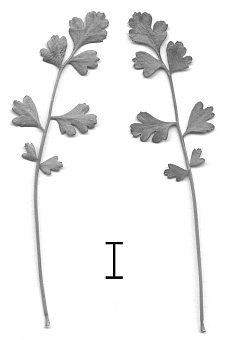 Inflorescence branched, semi-persistent, with smaller foliar leaves, differentiated from vegetative branches, bearing several pseudumbels each of 3-5 flowers. Peduncle 1.5 - 9.5 mm, pedicel 4-17 mm. 5, narrowly ovate with acute apices, 6 x 1.5-2 mm. Hypanthium 5-8 mm. White to (exceptionally) slightly pinkish, posterior two narrowly obovate to oblong 8-15 x 1.5-3 mm, reflexed at 90 deg from base, anterior three spathulate, 6-13 x 1.5-2.5 mm. 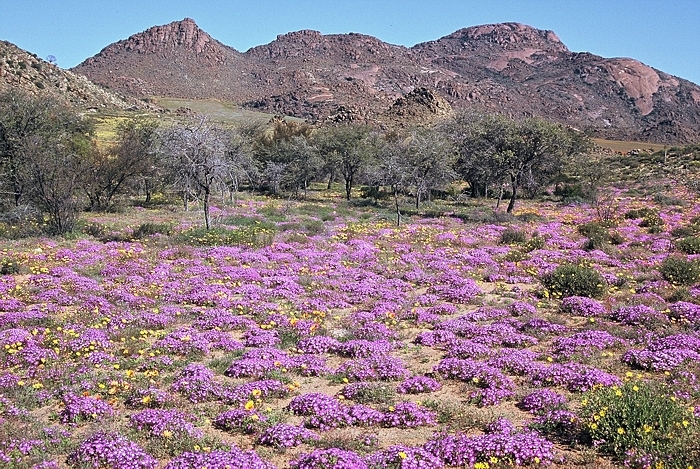 Succulents in flower in the Goegap Nature Reserve near Springbok, N Cape, in 2001. 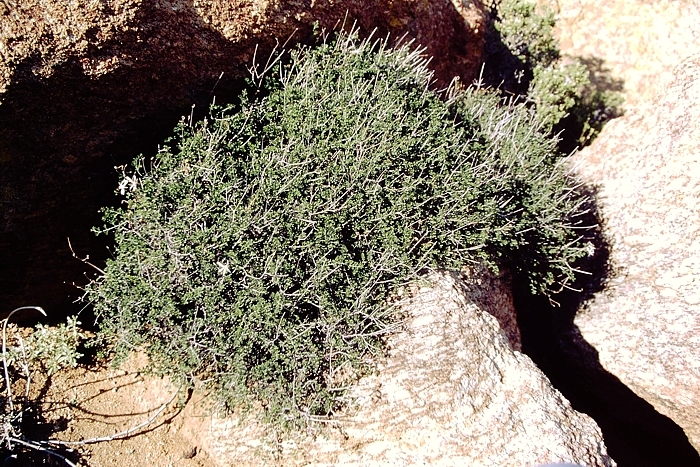 Visiting in the spring is enormously rewarding if the winter rains were good, but can be a disappointment in very dry years, when plants are shrivelled, barely leafed up and some geophytes do not even bother to show up. 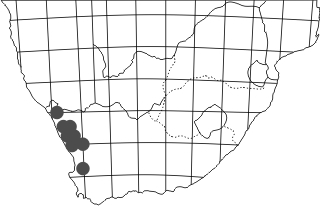 P. dasyphyllum is fairly common around Springbok. This is another Otidia with substantial underground tubers, and is not difficult to spot in nature due to its numerous remains of peduncles, but takes on many almost unrecognisable forms and shapes upon greenhouse torture.